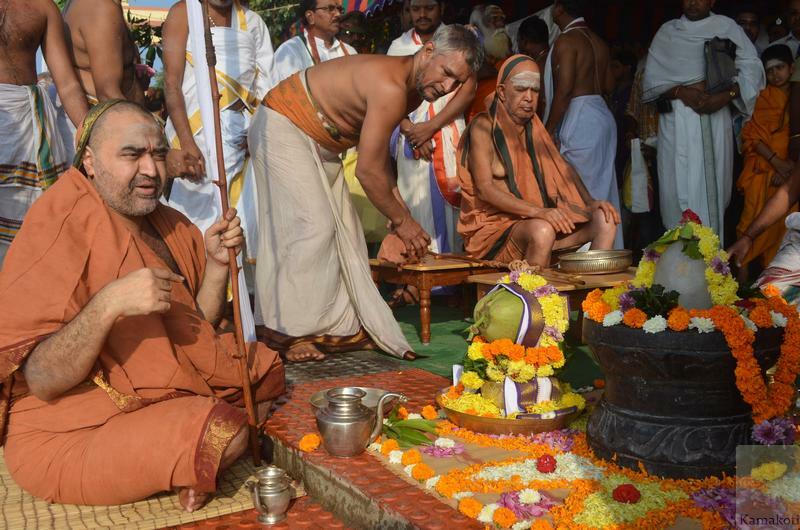 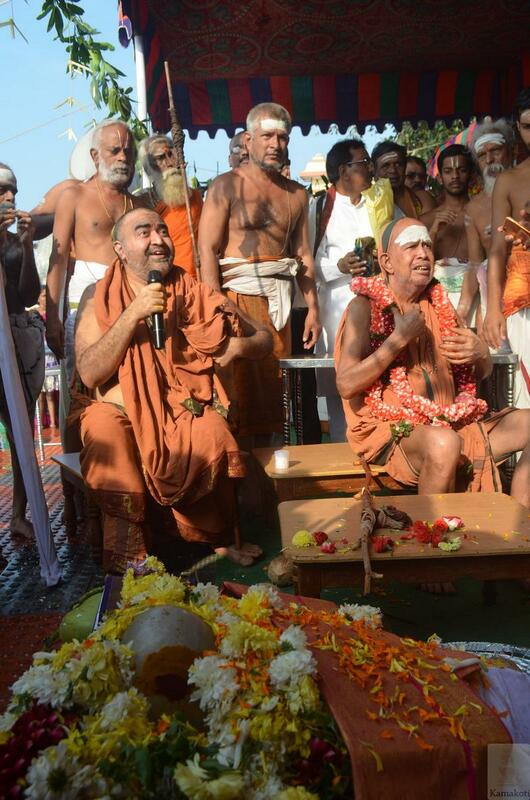 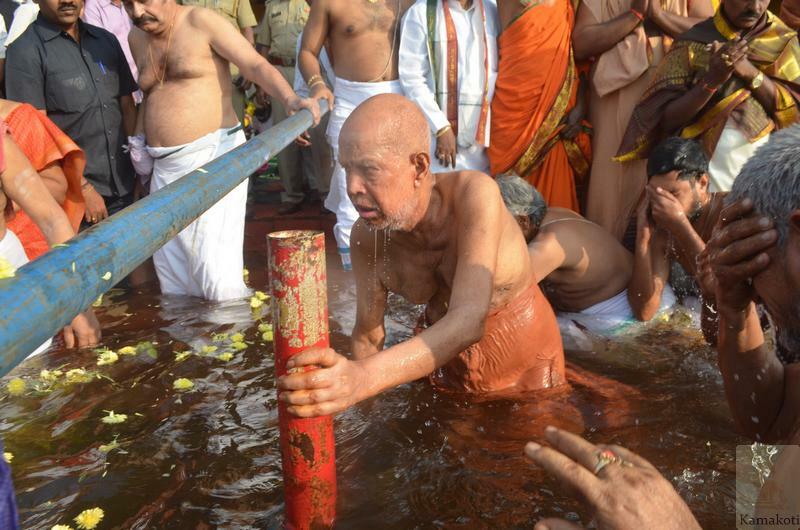 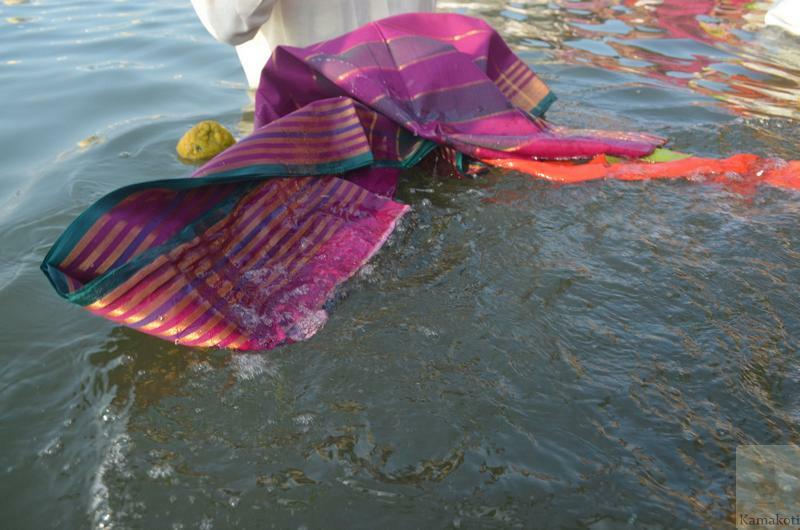 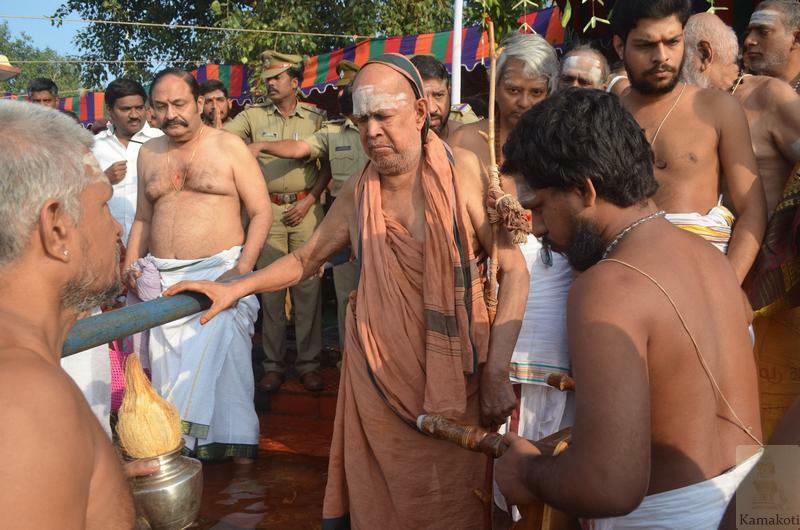 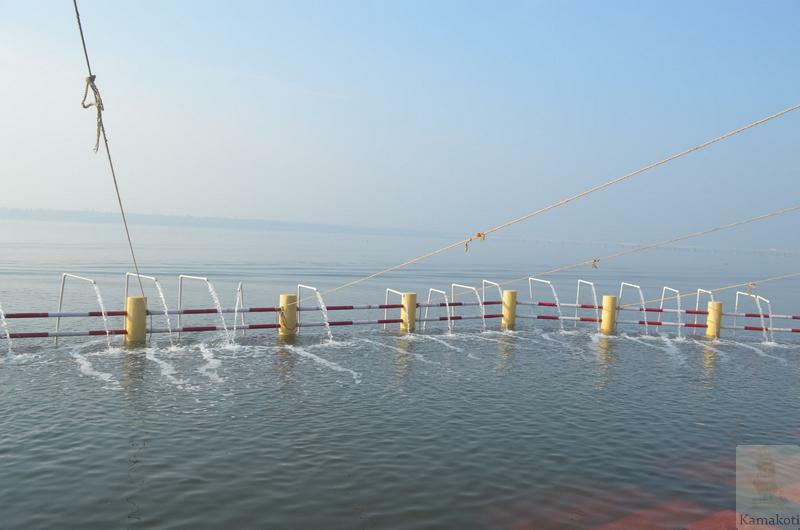 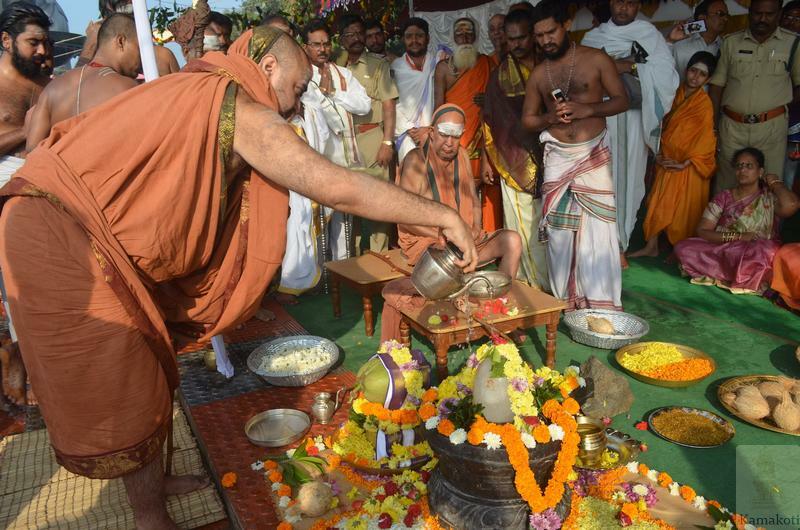 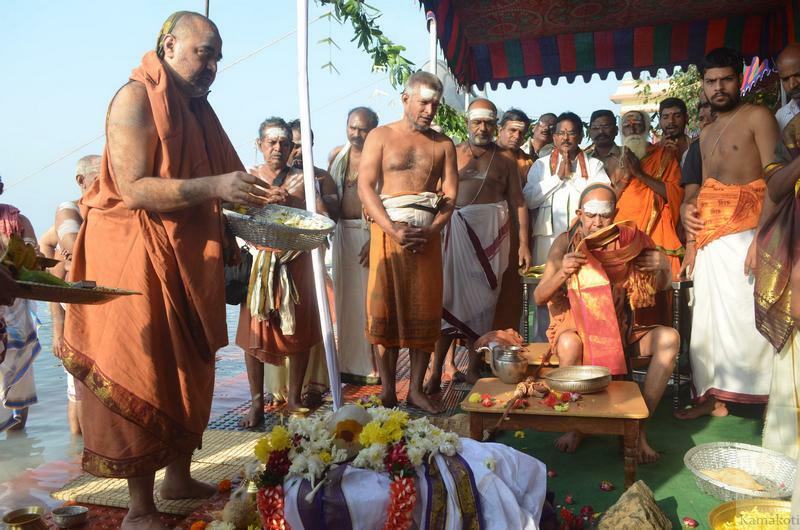 His Holiness Pujya Shri Jayendra Saraswathi Shankaracharya Swamigal & His Holiness Pujya Shri Shankara Vijayendra Saraswathi Shankaracharya Swamigal performed Karthika Masa Amavasya Snanam at Yaanam, at the confluence of Godavari river & Bay of Bengal. 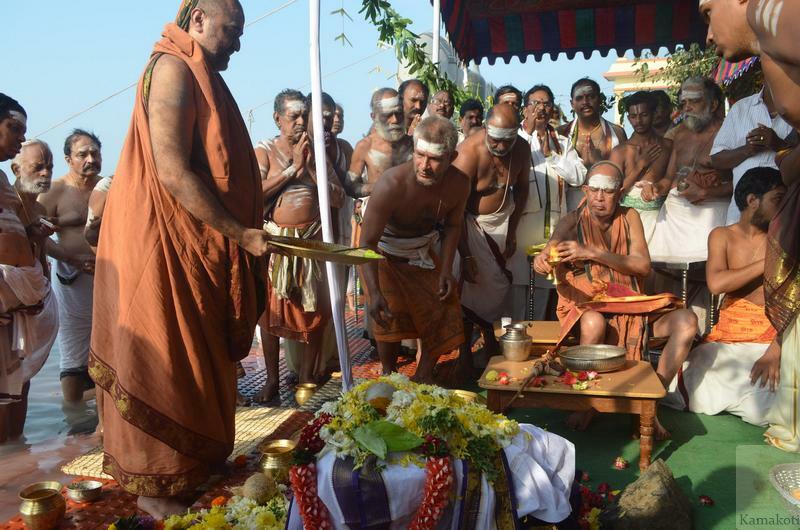 Yaanam is a part of Union territory of Pondicherry. 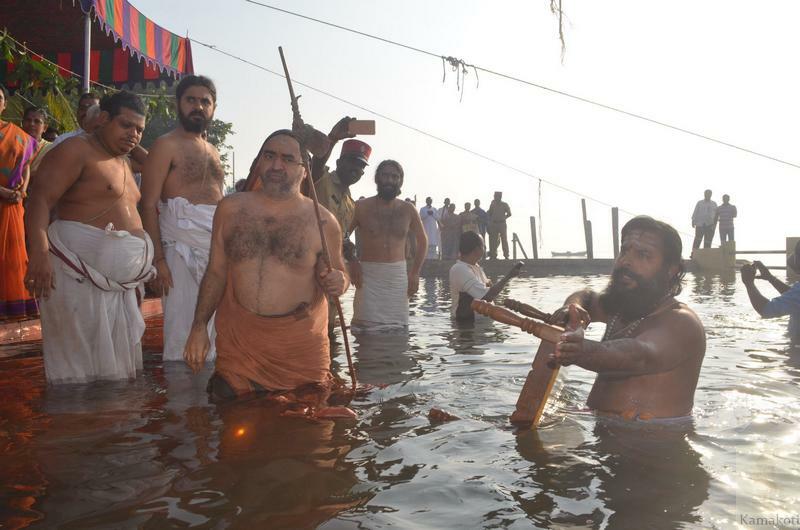 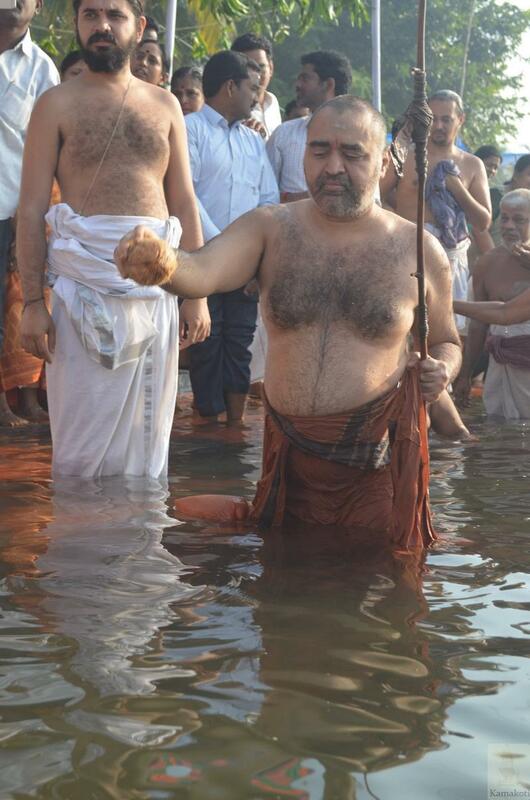 Their Holiness left Samarlakota town early in the morning and reached Yaanam at 7:30 AM. 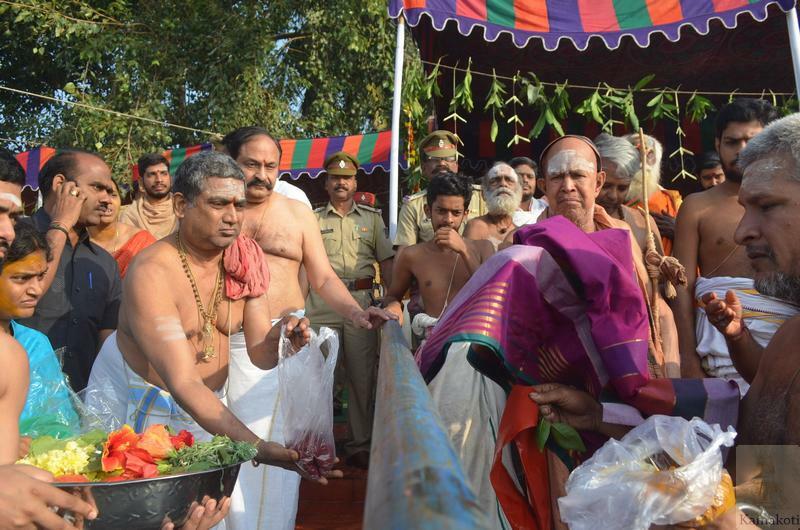 Their Holiness were received by Purohits & devotees. 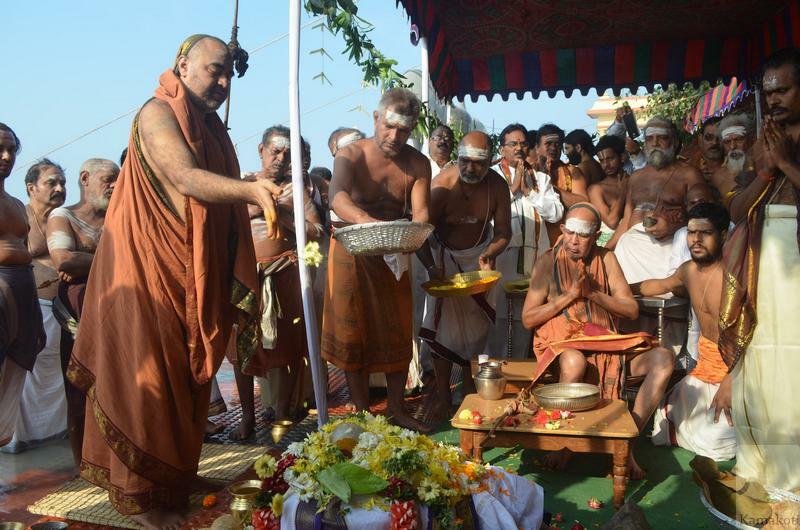 Arrangements were made by endowments department for the Snanam of His Holiness. 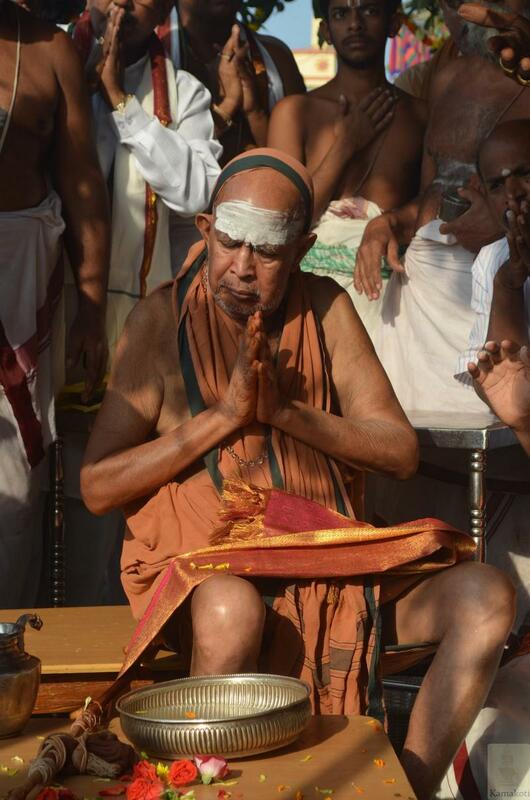 Several devotees took the opportunity to have snana with Their Holiness. 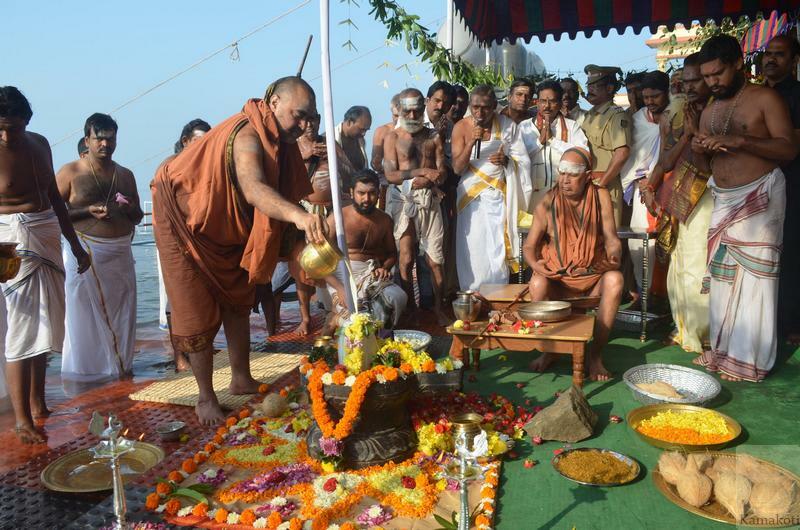 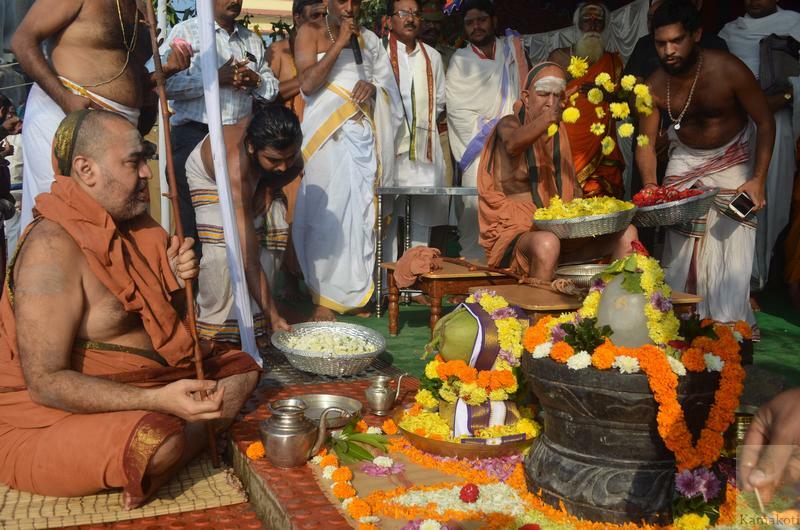 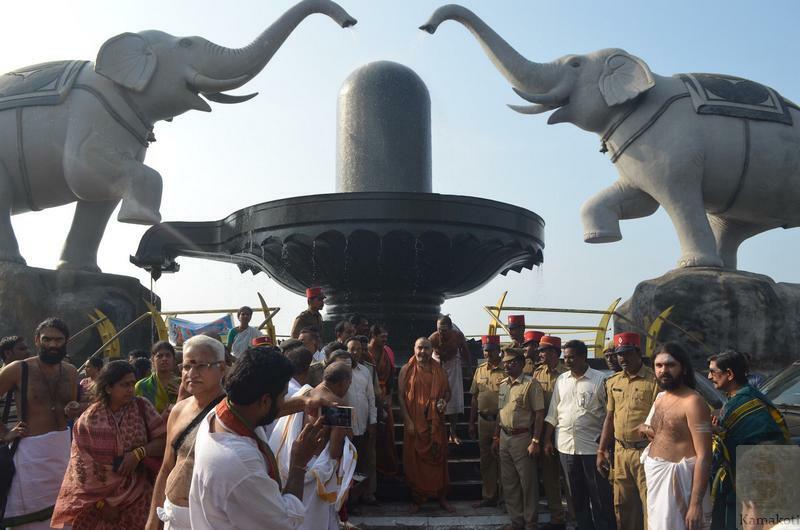 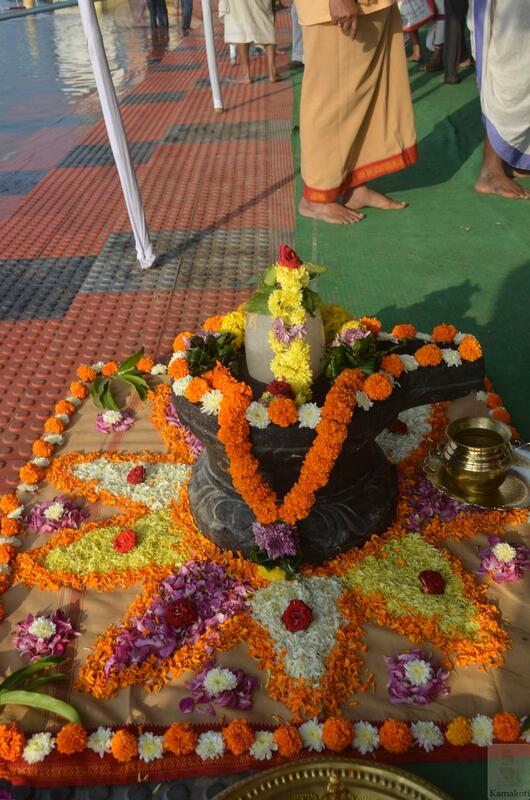 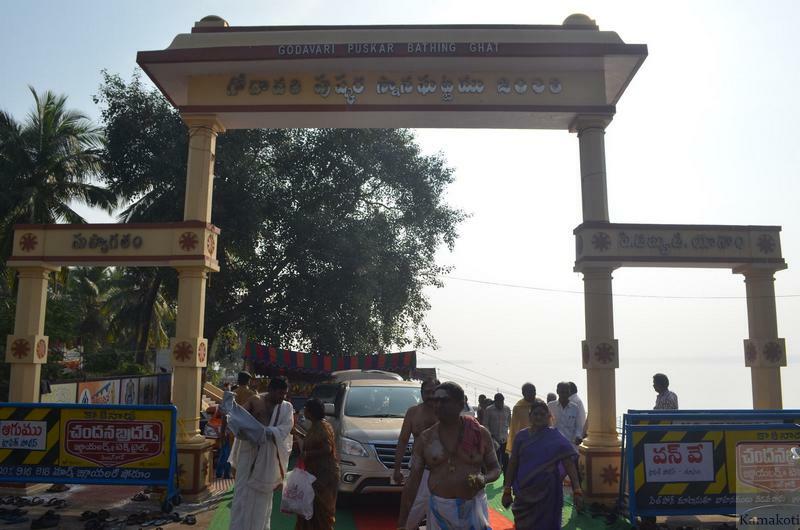 Later Their Holiness performed Shivalinga Puja on the banks of the river and named the linga as "Chandramouleeshwara". 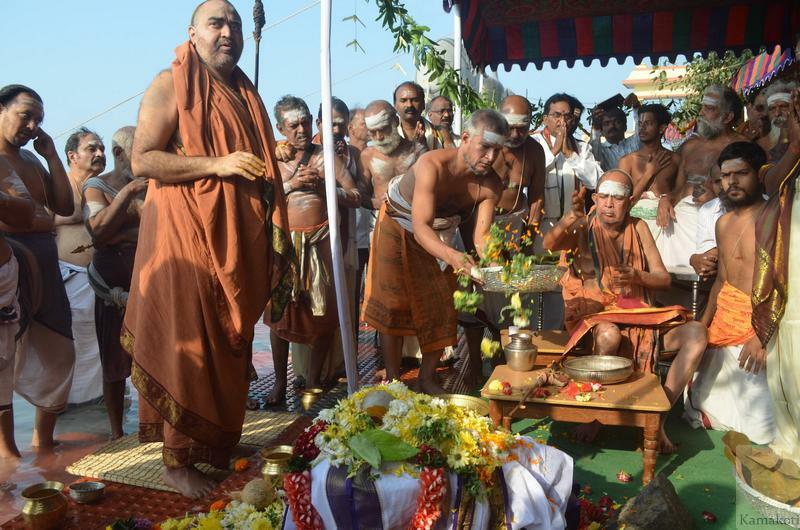 The locals have planned to consecrate the linga with blessings of His Holiness in a proposed temple in Yaanam.